Head coach Régis and the entire team are here to welcome you and offer advice. Kick off your break as soon as you arrive, and we'll be by your side to make sure there are no own goals. Guingamp, always on the front foot! 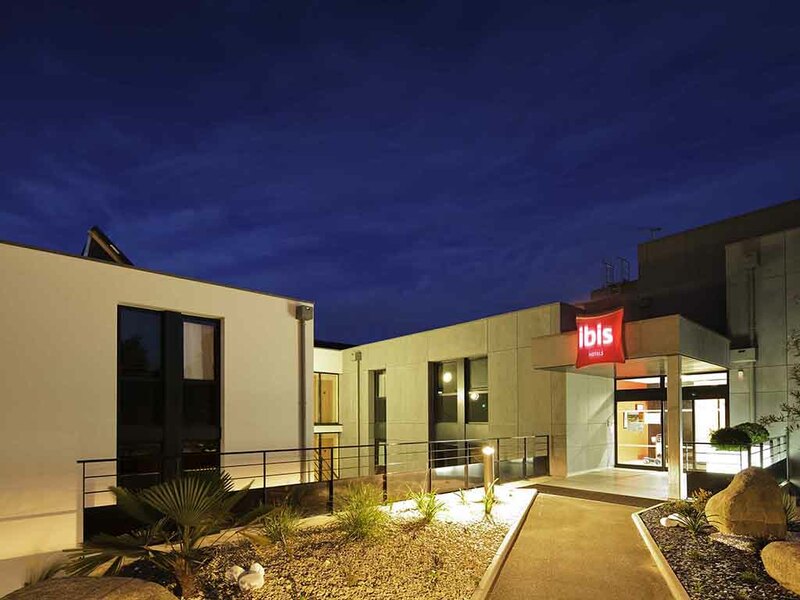 Located on the road between Rennes and Brest and on the outskirts of the town, the ibis Guingamp Coeur de Bretagne hotel is the ideal base for exploring everything the region has to offer (beaches on the Côte de Granit Rose, Paimpol, Île de Bréhat, Vallée des Saints, etc.). The wine lounge bar is open 24 hours a day and serves a regional menu for enjoying time with family or friends. Hold your seminars in one of our 3 renovated meeting rooms and take a break on our adjoining landscaped terrace. Relaxation on the menu... A bite to eat or something to drink... The perfect place to hold a business meeting or simply relax.